Do you come to Tennessee Smoky Mountains every year, or have never been here yet? Looking to find out whether this vacation destination is for you? A family get-together, a couples getaway, a fiends weekend - Smoky Mountains vacation can be so many things to so many people. Hiking or scenic drives, horse back riding or rafting, ziplining or dining, shows or shopping, skiing or sightseeing, live music or museums, theme parks or historic places - this is just a small sample of things you can do, see and experience. 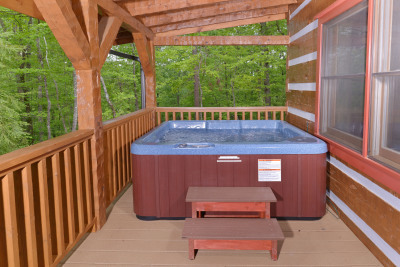 Our cabins are located in Sevier County, Tennessee - home to Gatlinburg, Pigeon Forge, Dollywood and the gateway to Smoky Mountains National Park. There are several distilleries in the Downtown Gatlinburg area. Bring your valid picture ID and enjoy the distinct tastes and aromas. The Ole Smoky Moonshine Distillery, "The Holler", is America’s most visited distillery and produces all of its signature flavors. Gatlinburg is nestled at the entrance to Great Smoky Mountains National Park, the most visited national park in America. This little town is dedicated to welcoming all of its guests with a taste of Appalachian hospitality at its best. Browse the shops, listen to live music, or sample locally made candy and moonshine. Click on photo to find out more. Close to our cabins, there is Arts & Crafts Loop. 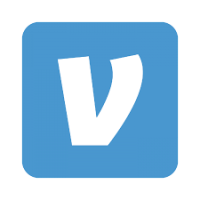 The largest group of independent artisans in North America. This historic 8-mile loop has been designated a Tennessee Heritage Arts & Crafts Trail. There are several Trolley stops along the loop. The Big Pigeon and several other regional rivers are minutes away, and downtown Gatlinburg rafting outfitters can help you book an expedition and make sure you get all the gear you need. 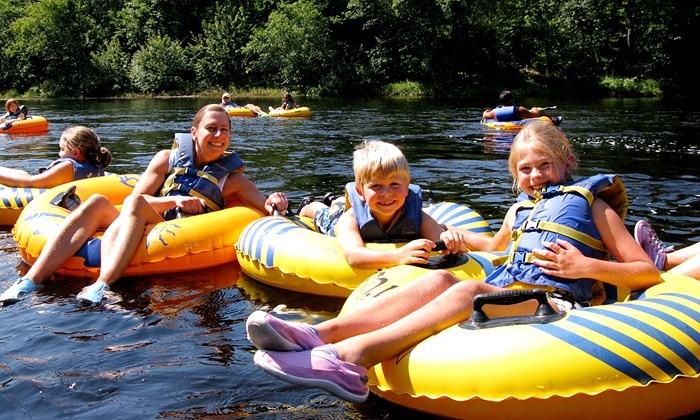 There is a whitewater thrill waiting for you whether you are 5 or 85. 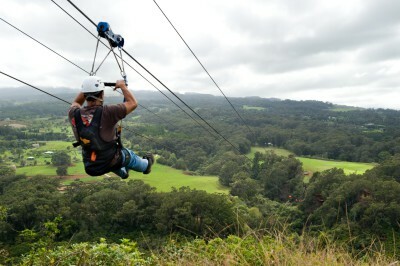 Several ziplines in the area offer breathtaking thrills to suit your sense of adventure. Couple that with amazing views, plus additional activities that can keep the whole family happy - and you will have a day to remember for years to come. 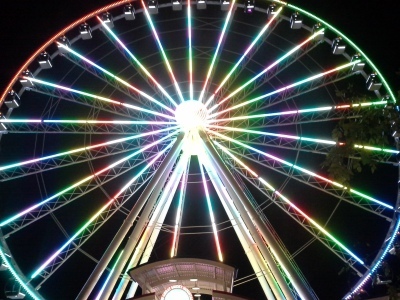 The Island in Pigeon Forge is your one stop for family fun all night and day! 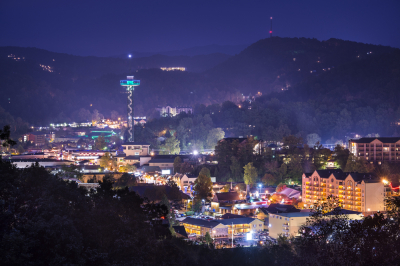 In addition to the Great Smoky Mountains Wheel, there is shopping and entertainment complex, lots of restaurants, eateries, rides and games, dancing fountains, live music, attractions and more. Many stables in the area offer guided backcountry excursions for kids and grownups looking for fun family outdoor activities. 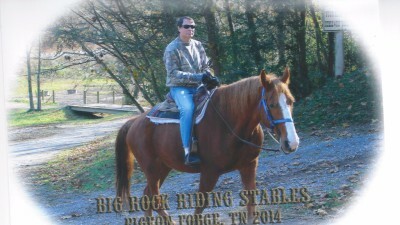 Horseback riding in the Smokies is a whole different way to experience the mountains. Check out Big Rock Dude Ranch and petting zoo too! Catch a fun and budget friendly trolley ride! 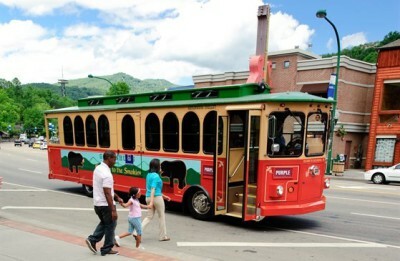 Gatlinburg now has 20 trolleys servicing approximately 50 miles in and around Gatlinburg and surrounding areas. Park and Ride by the City Hall. 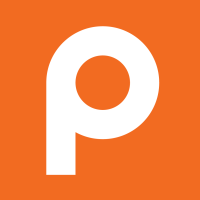 During summer months, there are also connections to Pigeon Forge Trolley Routes. 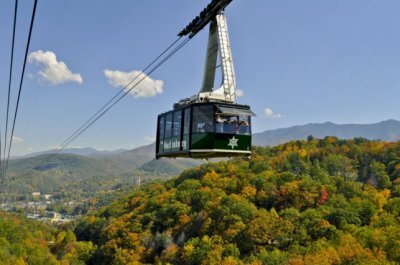 Board a 120-passenger Aerial Tramway car at 1001 Parkway and travel to Ober Gatlinburg, while enjoying spectacular views of the mountains, Gatlinburg and National Park. Tickets are good for entire day. 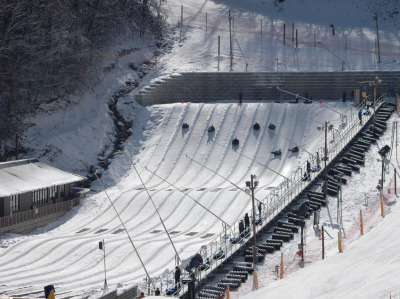 While at Ober Gatlinburg, skate, ride down the alpine slide, or take a thrill ride on a Ski Mountain coaster. In winter, try skiing and snowboarding. Have some winter fun! You don't have to be a skier or a snowboarder to enjoy some fun rides down the hill. There is a mountain coaster for snow-less thrills too! Want to explore the underground world? Forbidden Caverns, located in Sevier county, Tennessee is one of America's most spectacular caverns. 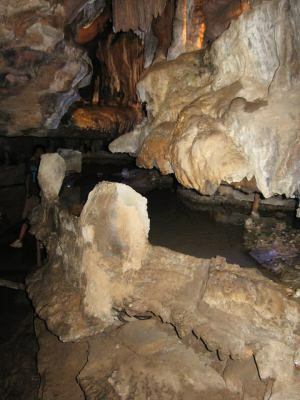 Visitors are provided with an entertaining and educational tour past sparkling formations. Open Apr - Nov.
At 6,643 feet, Clingmans Dome is the highest point in the Great Smoky Mountains National Park. It is the highest point in Tennessee, and the third highest mountain east of the Mississippi. Although Clingmans Dome Observation Tower is open year-round, the road leading to it is closed from December 1 through March 31, and whenever weather conditions require. It's seven miles to the end of the road and there are scenic pullouts with endless views of ridges and valleys along the way. The road ends in a large parking area from which a 0.5 mile trail leads to the summit. The trail is paved but steep, and leads to an observation tower on top. Dollywood does not need introductions as it is well known in and out of the state of Tennessee. 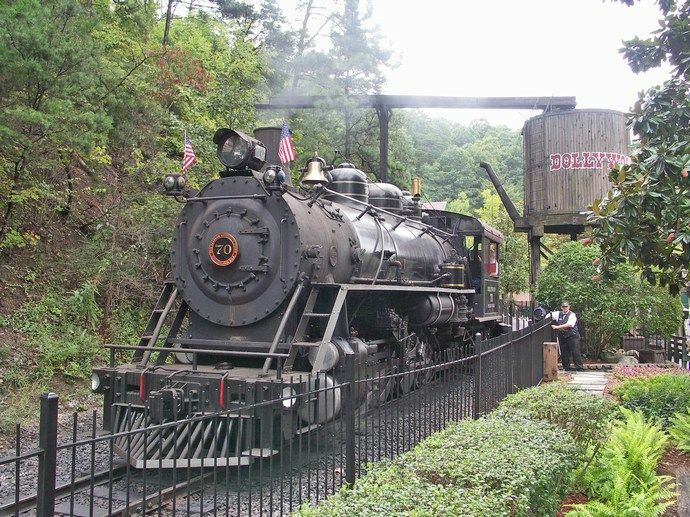 What we like about Dollywood is more warm, relaxed and less hurried atmosphere, nature setting, an of course, the Dollywood Express train ride. 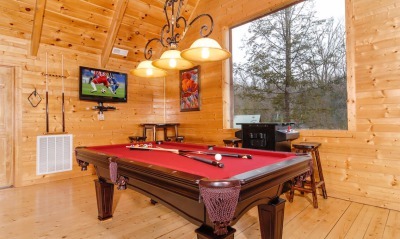 Brand new experience in Downtown Gatlinburg, just 15-20 min drive from our cabins. Offering outdoor mountain experience for all ages: a scenic 12-minute ride Chondola’s quad chair or enclosed 6 person gondola; Firefly Village - a whimsical treehouse-themed village; scenic tree canopy walk; dueling ziplines and more. Outdoor destination for the whole family. 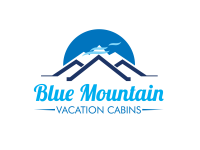 Our cabins are located in Sevier County, Tennessee with easy access to both Gatlinburg, Pigeon Forge, and to all popular area attractions and destinations. 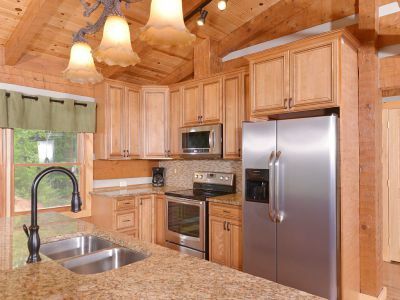 Each cabin is custom built on a spacious lot, surrounded by nature. 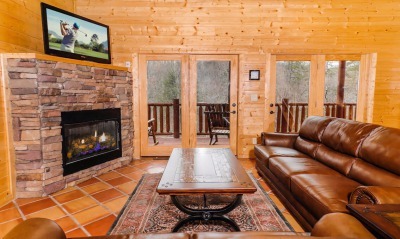 Included with your stay is our personal attention when you need it, privacy when you want it, and family friendly amenities to help you make your Smoky Mountains vacation experience the one to remember.